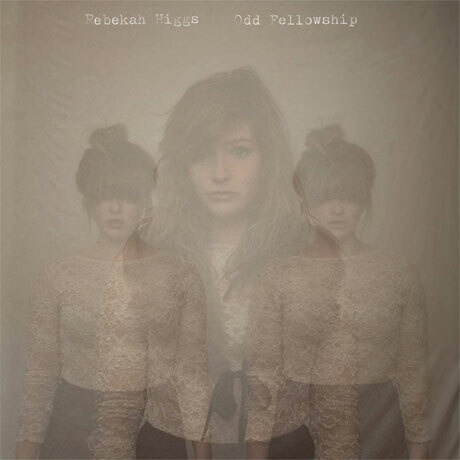 Toronto-via-Halifax singer-songwriter Rebekah Higgs is on the cusp of releasing Odd Fellowship, her sophomore album, on August 23 via Hidden Pony. However, you can check out a full stream of the record right now. The ten-track effort was produced by Brian Deck, the hard-working vet who has worked on major releases from the likes of Modest Mouse, Iron and Wine, and Califone. Allegedly, Deck contacted Higgs by way of a hand-written note. The album was engineered by Diego Medina (Chad VanGaalen). A press release notes that the album contains many "musical styles, shifting gracefully from melodic folk to psych pop, with big guitar licks and tight laptop beats." Check out Odd Fellowship for yourself below, along with a short but sweet run of Canadian tour dates.